I have a Maltese named Jake, my 1st agility dog. He is 13+ and had been doing agility (sort of as a Maltese does). He is retired on his terms! He has had visits to Dalia's Doggie Rehab, many times...he just relaxes as she maneuvers, measures, and lasers his small body. He NEVER lies still with me! Lisa speaks " I care, doggie !" and they know it! 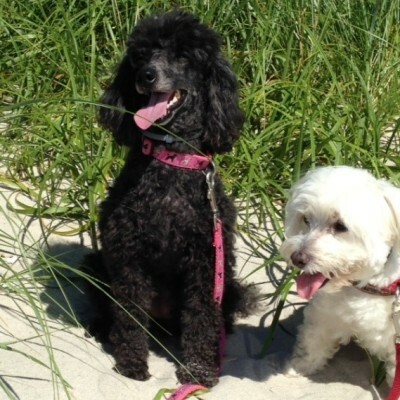 My Miniature poodle, Fizz, also has seen her because she does agility! She is so generous with her information --always supporting Dog Clubs! She is a love and the dogs know how much she cares! Take your dog there--you will see what I mean. Brody had an issue a few years back where he could not stretch out. When jumping, he would tuck his rear legs under him and could not clear 16" bars. I spent a fortune on X-rays and vet visits but no one could find anything wrong. I discussed this problem with Lisa. She discovered that his iliopsoas was pulled and began treatments on him right away. It was a slow process since he had had this issue for a long time but soon he was jumping 20" and his spread was back to normal. I continue maintenance treatments with Lisa because she is keeping him in good shape. 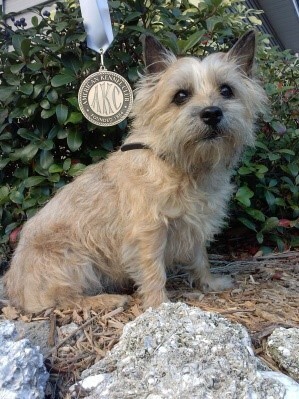 Kasey (aka CH MACH4 Madcap's Mac Mioscaise CDX RAE MXS3 MJC2 ME RATS) Cairn Terrier. Kasey had been running very slowly in agility. I thought she was just bored. Then at a trial, it became apparent that something was very wrong. Lisa was at that trial and examined her. Kasey had a pulled groin muscle. She wasn't bored-- she had been running injured. 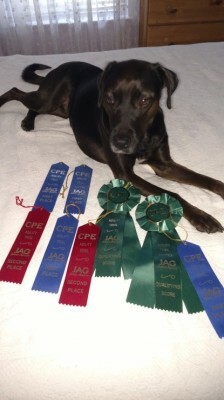 Kasey was supposed to go to the 2015 AKC Agility Invitationals. She had been Top Cairn there the two previous years. After her diagnosis, I knew that we weren't going. I just hoped to have my agility girl back someday. Kasey was almost 10 years old. Lisa did rehab on her and gave me rehab exercises to do at home. Kasey is not an easy dog to work on. She is totally terrier. I was expecting each session to be a war of wills. 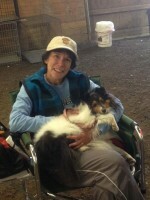 Lisa was so patient and gentle- she won Kasey over. It was not a quick recuperation but Kasey is back! 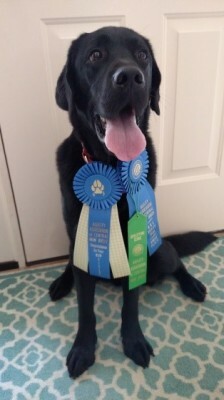 She qualified for the 2017 AKC Rally National Championships. She is doing agility again and we hope to finish her MACH 5. Kasey just won Best of Opposite in Veterans at a regional specialty from the 11 and over class. The judge said she was in amazing shape - well muscled and moving effortlessly. We were lucky to have Lisa in our corner. Thanks, Lisa. 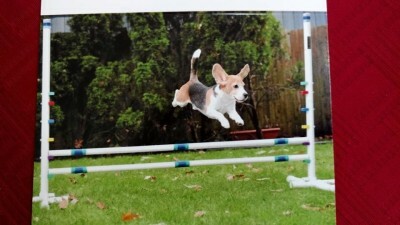 When my agility beagle Max came up lame after an agility trial, it was my first experience with a K-9 injury due to the sport I had asked Max to do. Of course, I was very concerned, anxious and I felt very guilty. 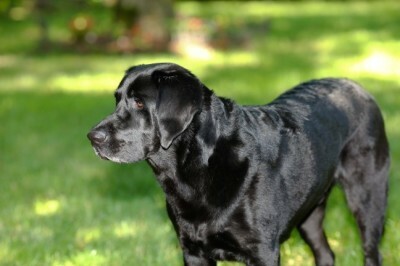 A close friend told me about Lisa Saez PT, CCRT certified to provide K9 PT. We contacted Lisa on a Saturday evening and I'm sure that Lisa heard the concern and anxiety in my voice. Lisa accommodated Max into her schedule the very next day. Within minutes of our first session, Lisa had identified the problem, and she reassured me that an effective plan of treatment would be outlined for Max. And it was. Lisa's professional approach and compassionate implementation of an appropriate plan of care was begun. Lisa provided a home exercise program and I followed it for Max. 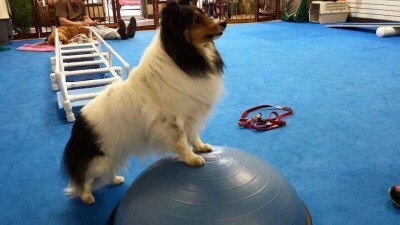 Max was treated successfully and he returned to the agility ring as Lisa predicted. 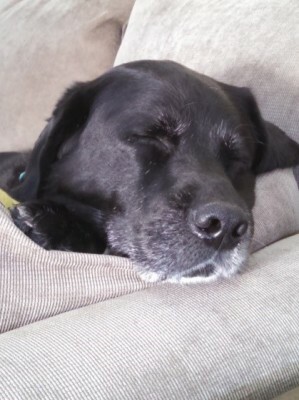 Max is 12 and retired now but it's comforting just knowing that Lisa is available to address any future PT needs for Max and or my BC puppy, Sky. Thank you, Lisa. 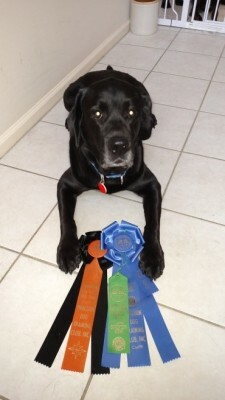 Lisa has worked with all five of my agility dogs, four Labradors and a Lab mix, Lindsey (who, by the way, my husband met at DDR and subsequently adopted). Lindsey had surgery to put a plate in her leg and underwent rehab at DDR with Lisa. 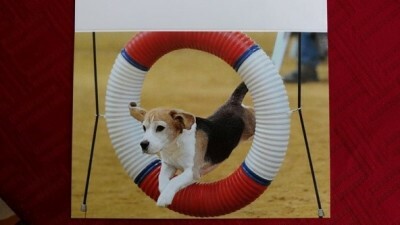 She is now able to compete in agility. 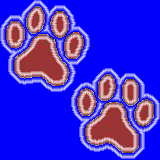 Brodie, Tucker, Logan and Riley have all gone for soft tissue and laser treatments to help keep them in shape for competing and to make sure they have no issues. 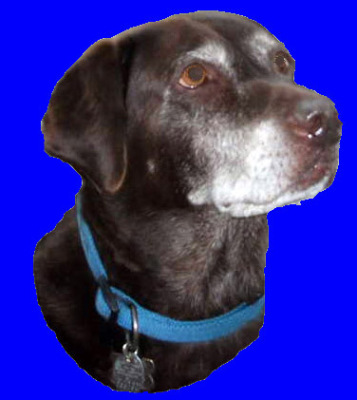 Going to DDR every week for underwater treadmill did wonders for our Tucker, who had a back issue as he got older. Lisa is the best, being able to work with my very wiggly Labs! I took Charlie to Lisa after he injured himself during an agility competition. Lisa evaluated him, finding several problem areas. She also treated him during our eval session. Charlie and I have continued to see Lisa and we are both feeling better! Lisa has given us a written home exercise conditioning and stretching program; this is invaluable in my mind. 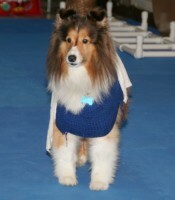 I want to be able to take care of my agility dog so that he doesn't injure himself further. The home program lets me help Charlie to be in good shape for our events. He loves agility and so do I. We both want to be able to compete; not sit on the sidelines. Lisa is great with Charlie and her concern for his health is obvious and paramount. I know that he is in good hands, literally, with Lisa. 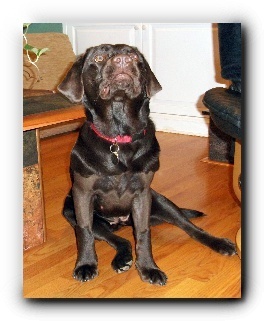 On my 50th birthday, the best present I received was a chocolate lab puppy. She was spunky and cute as all those lab puppies are. We had forgotten how much work it was to have a new puppy in the house but soon adjusted to each other. I became the the morning walker as I went to work/ school the latest(8am). When Luna was 5 months I noticed she developed a limp in her left front leg. This persisted, so I took her to my vet. He did an exam and xrays and couldn't find anything. I rested her and had my sister Lisa, a physical therapist, give me exercises for her. She improved somewhat but at a year old we had several large snow storms in New Jersey and Luna loved bounding through the snow. Her limp returned with a vengeance and I took her to an orthopedic vet. She was diagnosed with elbow dysplasia and a fragmented choroid process She required surgery and underwent bilateral elbow arthroscopy. 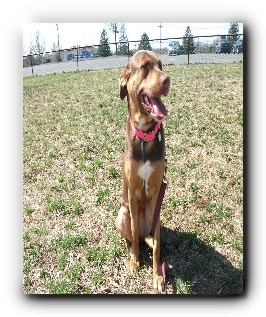 Luna was lucky to have a personal physical therapist and began therapy right after surgery. Her surgeon was amazed at how well she was doing at her 2 week checkup. She has continued with her therapy , going from ultrasound and infrared treatments to more advanced exercises. I am happy to now report that Luna is 3 months post op, has no limp, is very active, and stronger then before. She will always be at risk for developing arthritis and be restricted from certain activities such as long distance running and playing frisbee. However Luna is doing extremely well and loving life! I credit this to excellent surgery and immediate physical therapy! 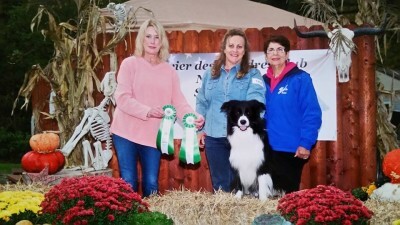 We can't thank Lisa enough for all her hard work with our Baxter. His transformation in the 5 short weeks of therapy was nothing short of amazing! Prior to his therapy, we were told by a Vet that he would need an MRI and spinal surgery if the short term plan of pain medication and crate rest was unsuccessful. We found Dalia's after a casual Facebook comment wishing for dog chiropractors produced a link to a newspaper article on Lisa and her amazing compassion and work with animals. Calling Dalia's was the best decision we've made! 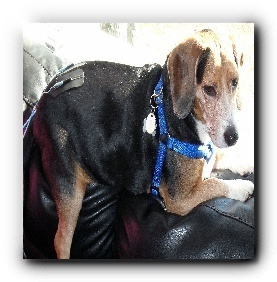 Today Baxter is pain free and active with no functional limitations. We are truly amazed at his transformation!! Thank You Lisa for giving Baxter his life back.